Blank Journal or Book of Shadows with embroidered cover. Size approx. 6" x 8". 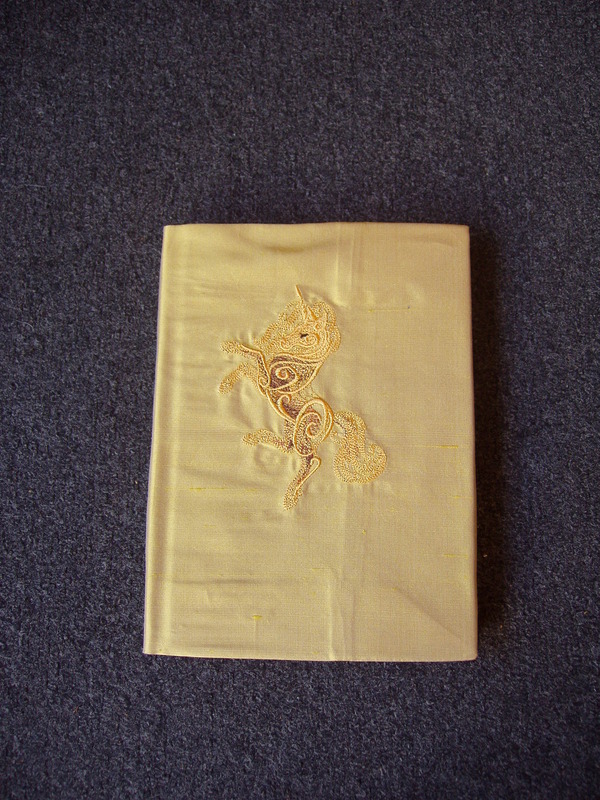 Old gold silk cover with embroidered golden rearing Unicorn design. As these journals are individually made, they can be embroidered with the design of your choice; please contact us to discuss requirements.